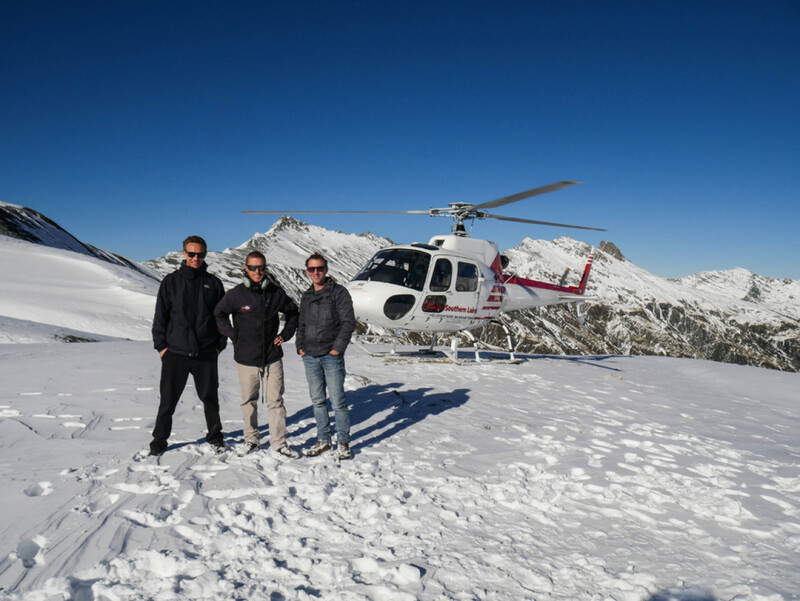 Departing from Queenstown, Glacier Southern Lakes Helicopters offer two different Middle Earth flights. The tour first takes in Lake Alta high in the Remarkable Mountains, which is the location of Dimrill Dale from where the Fellowship made their way down to the Elven forest of Lothlórien. 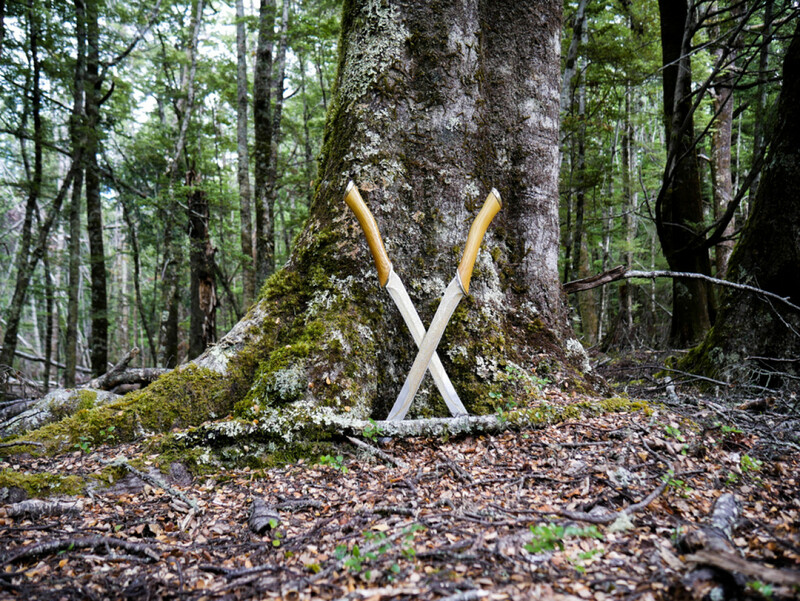 Then you'll fly across Lake Wakatipu and along the narrow gorge of Skipper's Canyon up to the 'Ford of Bruinen'. It was here that the Elven princess Arwen conjured up a flood to put an end to the pursuing Nazgûl. 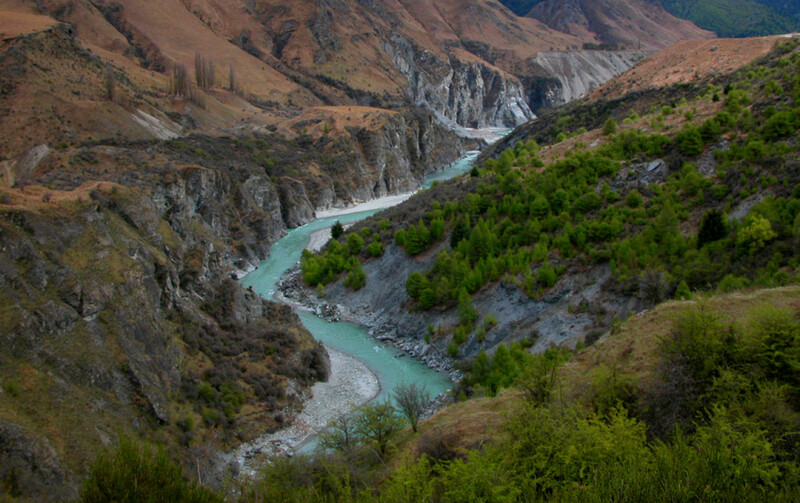 Skipper's Canyon and the Shotover River. 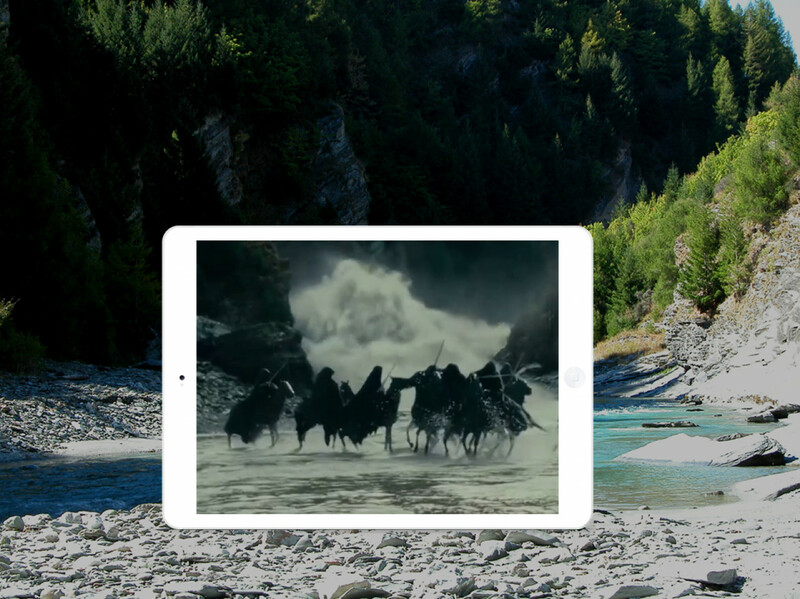 The Nazgûl turn their horses to flee from the flood. Starting off with a visit to the 'Ford of Bruinen' location in Skipper's Canyon, this route traverses some of the vast mountains ranges that feature in The Two Towers during the lighting of the beacons. 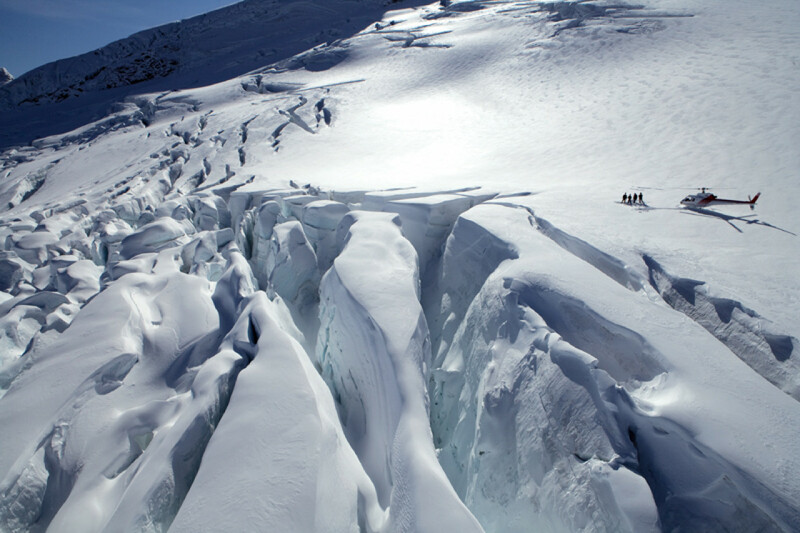 Eyeing out a suitable place for the glacier landing. Stefan (on the right) was invited to join a tour in April 2018. Back in the air, the pilot sets course for Mount Earnslaw - the setting for a number of mountain shots in The Two Towers: At its feet lies Saruman's fortress of Isengard. Mount Earnslaw as seen from the helicopter. 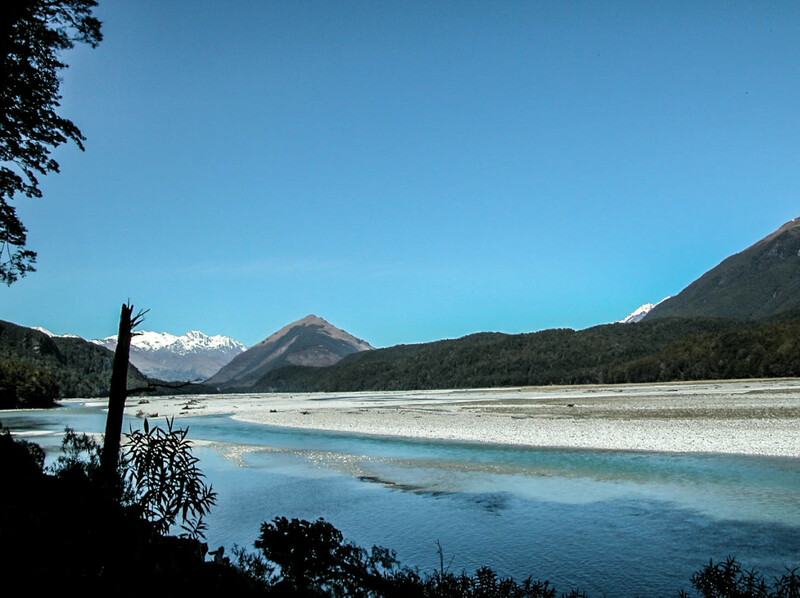 The second landing of the tour takes place amongst the vast expanse of the Dart River Valley. 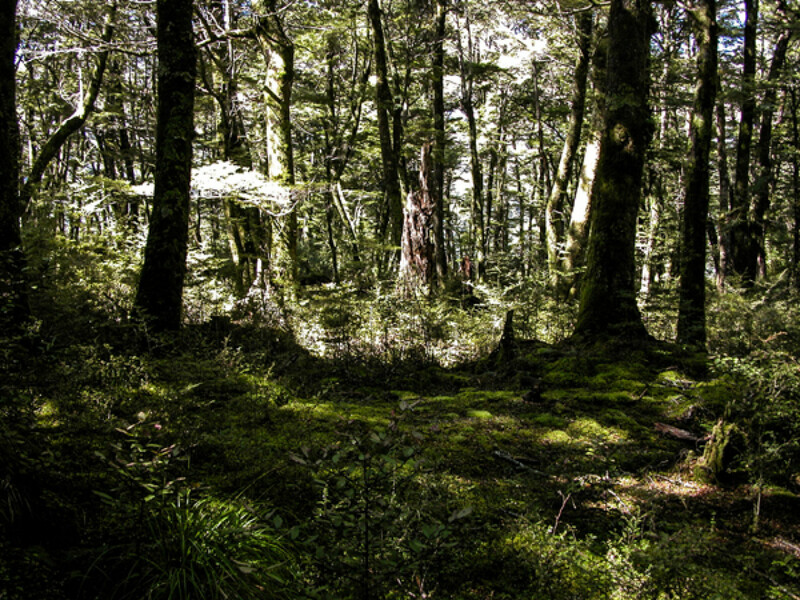 Several Lothlórien scenes were filmed in the forested slopes of Mount Earnslaw, including the arrival of the Fellowship in the Elven forest. At the edge of Lothlórien forest. Unlike the Fellowship, us mortal visitors are usually turned away by the elves. 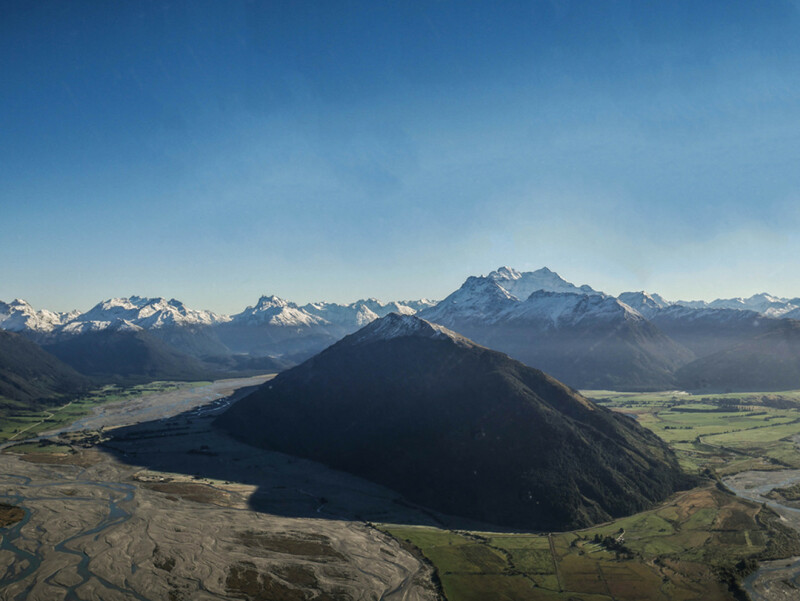 Pilot Alfie Speight has worked on the Lord of the Rings and the Hobbit trilogies and is widely regarded as one of the best aerial filming pilots in the industry. Just ask at the time of booking if he's available for that day. 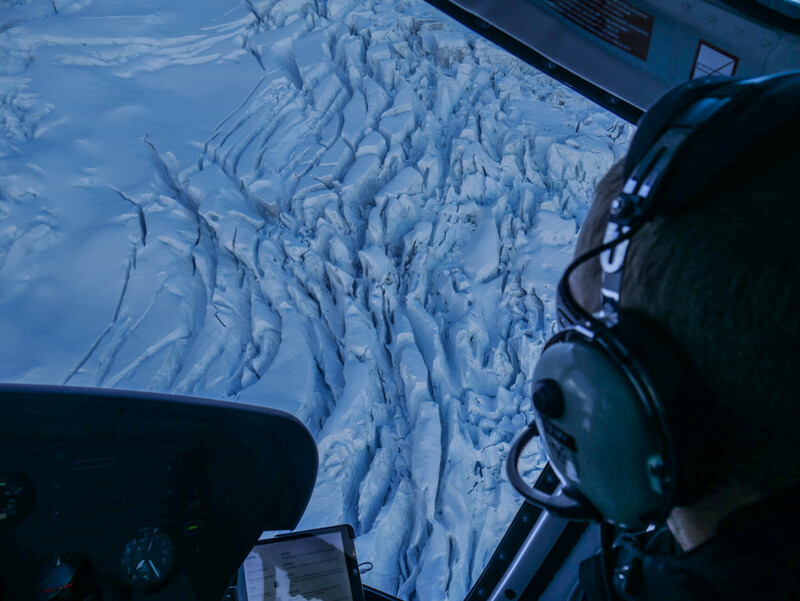 Glacier Southern Lakes Helicopters are based in the Queenstown suburb of Frankton at the southern end of the airport. Customer parking is available.